Want to pass H13-511 Huawei Certified ICT Associate –Cloud-Building Cloud Computing Platform exam? Passquestion provides you valid H13-511-ENU HCIA-Cloud Computing-BCCP Exam Training Material to help you get your certification in your first attempt. We already have lots of candidates passed this HCIA-Cloud Computing H13-511 exam. 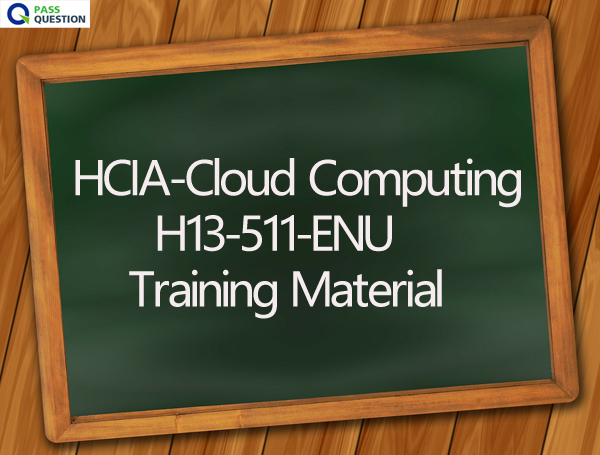 H13-511-ENU HCIA-Cloud Computing Certification validates the knowledge and skills required for basic configuration and maintenance of small to medium-sized cloud networks. HCIA-Cloud Computing certification shows proven a basic understanding of small and medium-sized cloud networks, including general cloud computing technologies, and the ability to assist the design of small and medium-sized cloud networks, and implement the designs using Huawei cloud computing devices. 1. When collecting the FusionSphere running logs, what are the components that do not need to be collected? 2. Which of the following description is wrong about the basic concepts of FusionManager? 4. Which of the following statement is wrong about the FusionCompute maintenance mode? A. After the host enters maintenance mode, it cannot perform operations such as power off or restart on the host. B. Before the host enters maintenance mode, it is recommended to shut down or remove the virtual machine on the host before performing maintenance on the host. C. It is not possible to create, start, or move to a virtual machine on the host in maintenance mode. D. After the host enters maintenance mode, the VM on the host does not participate in the computing resource scheduling policy of the cluster to which it belongs. 5. Which of the following is the cornerstone of Huawei FusionCloud cloud computing solution? 6. In FusionSphere, the definition of major accidents, which option does not include? 7. Before installing tools on the virtual machine in FusionCompute, which of the following precondition is incorrect? E. The status of the virtual machine is "stopped"
8. Which of the following does not belong to the cloud computing service mode?